The Development Bank of Wales has released figures showing record investment in SMEs in West Wales. Loans and equity totaling £21.3 million benefited 72 businesses across Pembrokeshire, Carmarthenshire, Swansea and Neath Port Talbot in 2018 generating £33.1 million private sector leverage across the region. This compares to £11.6 million in 2017. “Despite the continuing uncertainty surrounding Brexit, we had a record number of enquiries during 2018 from start-ups and SME established businesses looking for loans or equity up to £5 million. Those to benefit in 2018 include Wales’ only independent oil company Oil4Wales who had a £350,000 loan to fund the development of the Nantycaws filling station. £200,000 was awarded to Dafen based DRL Partitions and £1.5 million for Britain’s first independent tyre comparison website Motokiki. “Access to finance makes a big difference to growth and sustainability which is why we continue to work hard to help local businesses to thrive. From the purchase of stock and new equipment, new premises, management buy-outs or acquisitions, owner managers want a commercial approach to investment that is tailored to meet their needs. The breadth of funding that we can provide ranges from micro loans of £1,000 to equity of up to £5 million; there really is something for everyone. 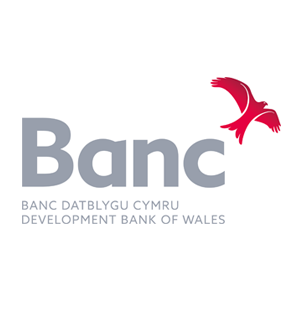 The Development Bank of Wales has a team of eight based in Dafen, Llanelli. This includes newly appointed Clare Sullivan who has joined from HSBC as an Investment Executive.